The Jake Occasional table, perfect in style and dimensions. This is a simple, contemporary design with a strong identity. 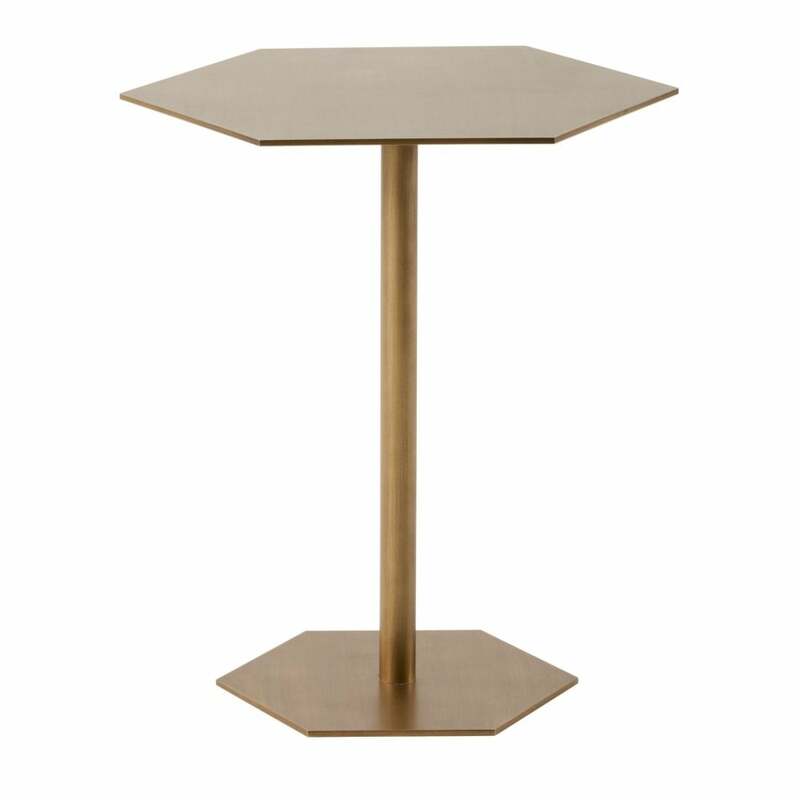 The metal frame is finished in an antique bronze colour, which gives the table a luxury, slightly retro edge, the unique geometric shape of the table and base instantly draws your eye. A stunning accessory, perfect for various room sets, ideal to set off a beautiful coordinating table lamp, vase or photo frame.